The Priory range is manufactured from high quality vitreous china and has a clean, contemporary feel. Stylish designer sanitaryware to complement any bathroom, offering contemporary curved designs in line with the latest trends. 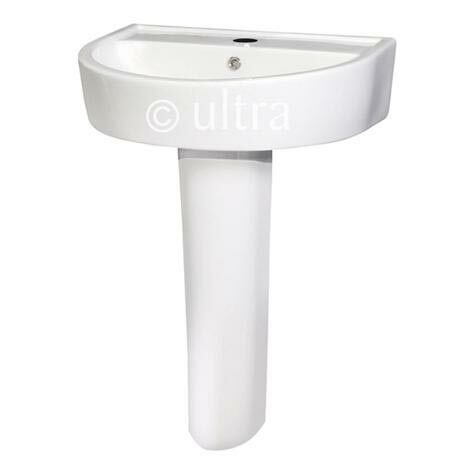 The Priory basin is supplied with a full pedestal which will conceal unsightly pipework from view. Designed to be used with a Mono basin mixer (not Included).